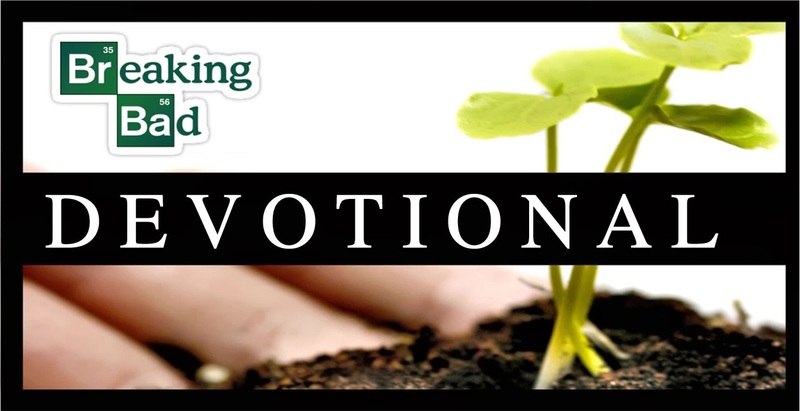 Hear are some devotional thoughts based on Part 4 of our series, Breaking Bad. The Christian life is not to be an effort to keep the law to please God. The Christian life is simply an expression of who I truly am. But until you discover and truly embrace who you really are, the Christian life can be very, very difficult. Always chasing after the law is not abundant life. It is exhausting. God wants you to truly recognize who you are and live out of the new you. Big Idea: As a Christian, I am not a new person because I act like a new person, but because I am a new person. 1. Growing up, were you a rule-follower or a rule-breaker? How did your reaction to rules affect your relationships with your parents and siblings? 2. Did your family go to church when you were growing up? Was the experience more about following Jesus or obeying rules? How has that influenced your current view of church? 3. What do you find challenging about the idea that Jesus is more interested in you following him than he is in you obeying rules? 4. Is it hard for you to accept that you are a Child of God? If so, why? 5. What does the big idea mean to you: I am not a new person because I act like a new person, but because I am a new person. The Christian life is not a life of imitation. It’s a life of impartation—Jesus’ life in you. At the cross, the power of sin was broken. You have been set free. “For we have died and Jesus is alive in us.” Jesus wants to live his life through you as you keep in step with his Spirit in you. In other words, You do not become a child of God by acting like one, you are a Child of God, so I will act like one. ■ Accept your new identity. keep in step with his Spirit in you. of relationship with you that he desires.